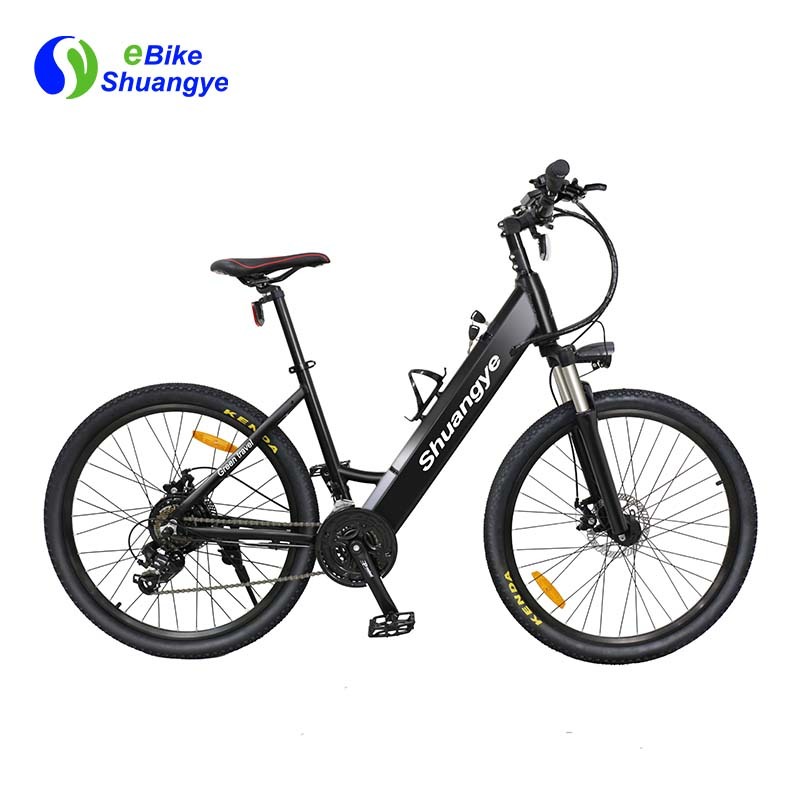 Shuangye womens electric bike is a beautiful, stylish and trendy electric bicycle with a comprehensive range of features, designed with comfort and ease of use in mind. perfect for the commute, trip to the shops. 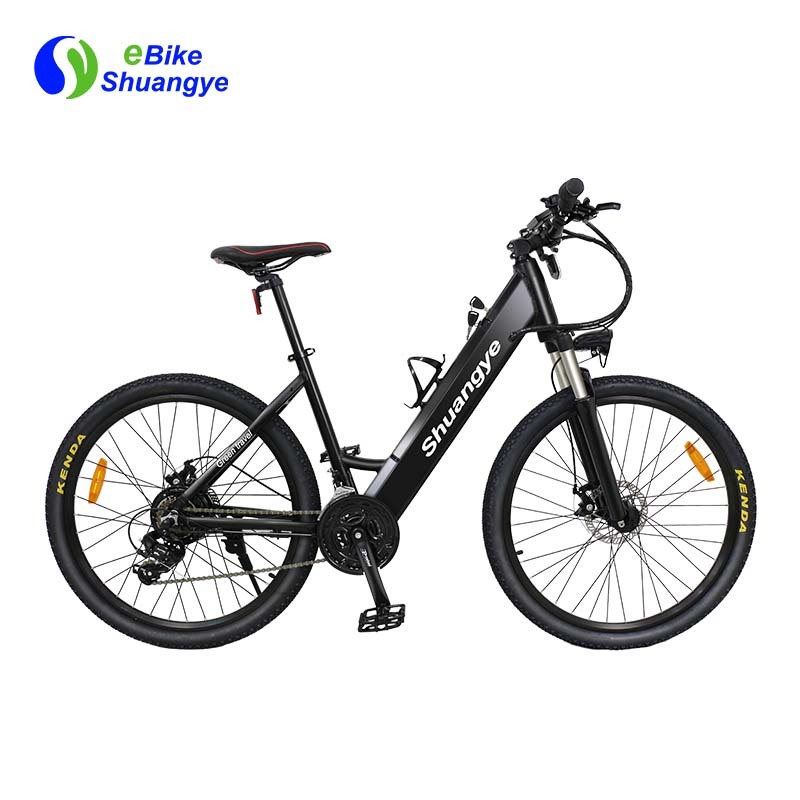 With 36v hidden battery pedelec bike help save the environment, your health and your wallet at the same time. 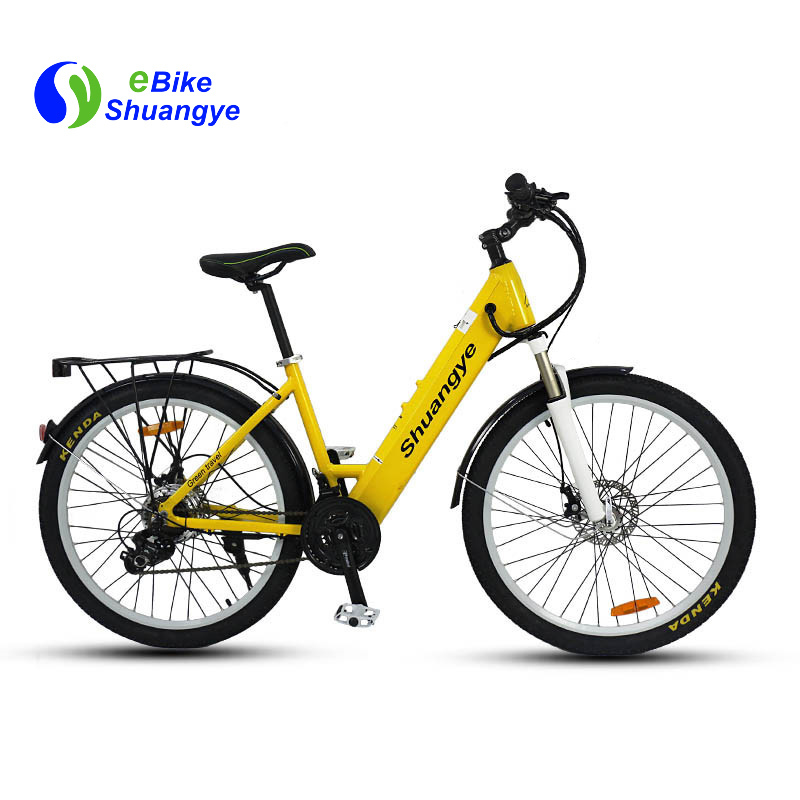 Electric bicycle features a 36V battery which offers excellent power and torque especially on hill climbs. 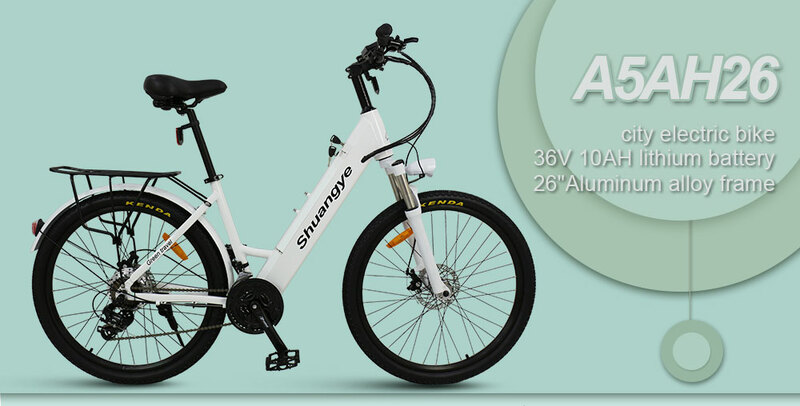 With a range on full power pedal assist of up to 40km,bicycle will ensure you a smooth enjoyable journey. 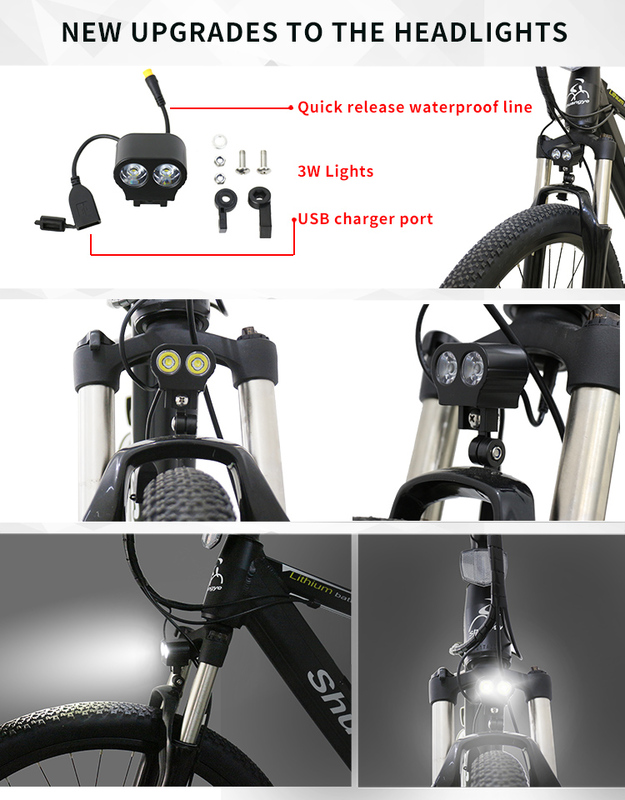 It has a maximum speed of 32km/h and can be fully charged and ready to go in 4-6 hours. The multi-function LCD880 display shows power, distance travelled and speed and also allows the selection of five levels of pedal assist and an easy start option. 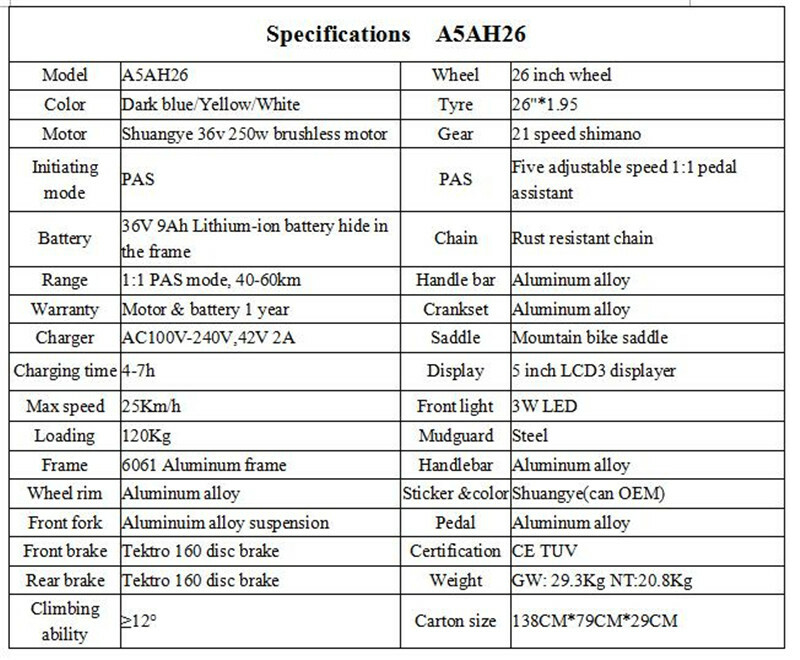 The throttle can be used during power assist enabling the power to be increased whilst using any of the levels of assist,Shimano 21 transmission system. 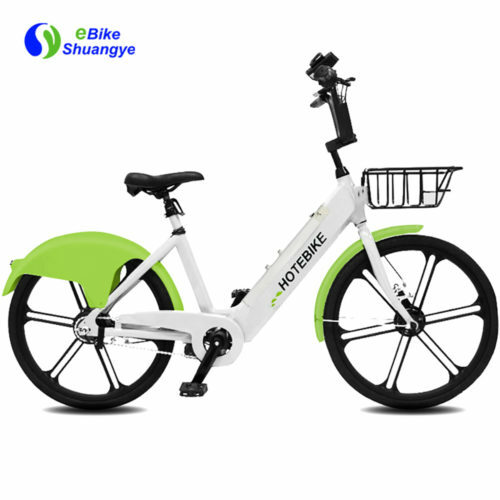 By riding an electric bicycle, not only will you be saving money on ever rising fuel costs, tax and insurance fees. You will also be getting some valuable exercise and improving your health with minimal effort. 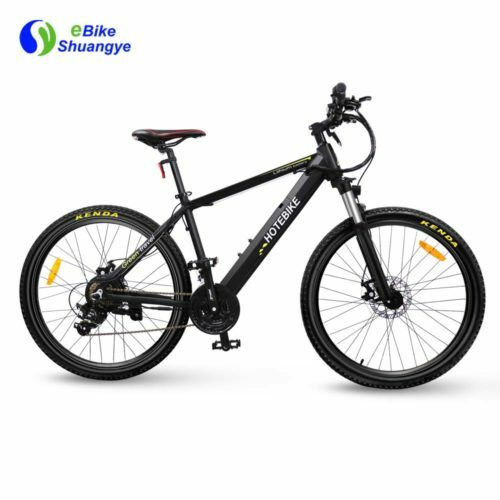 Womens Electric Bike A5AH26 With comfort at the front of this bicycle ergonomic grips, a suspension saddle and full suspension forks allow for a very comfortable ride, whilst adjustment height on the saddle. Security: Battery locks on to frame with unique key.